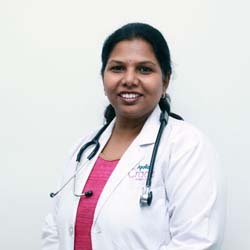 Dr. Rashmi Vasant is a renowned Fetal Medicine specialist having 13 years of experience and trained from the premier Research Centre for Fetal Medicine at Bangalore Fetal medicine center. She completed MBBS, DGO and has obtained her certificates of competency in various aspects of fetal scanning and in-utero invasive procedures, both diagnostic and therapeutic. She is very passionate about fetal medicine and totally committed to the cause. Her special interest is in Fetal therapy, Early diagnosis of fetal abnormalities and Pre-pregnancy counseling for fetal anomalies.